Some manuscripts, heaven. 11 The Son of man came to save what was lost. Light comes from the sun on the left hand side of this picture. 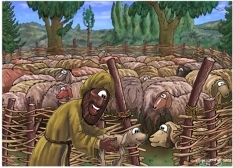 This is the final scene is this series, showing the Good Shepherd returning the lost sheep (lamb) to its mother, in the sheep pen from scene 01. 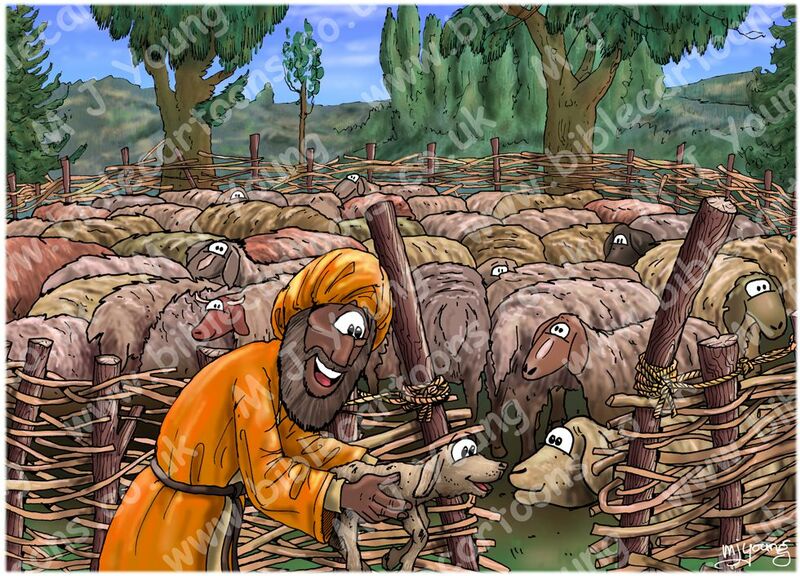 Notice that I have changed the position/orientation of many of the sheep in the pen, so it not simply a copy of the first scene.